The Sacrament was administered by the Bishop of Beverley, Glynn Webster. 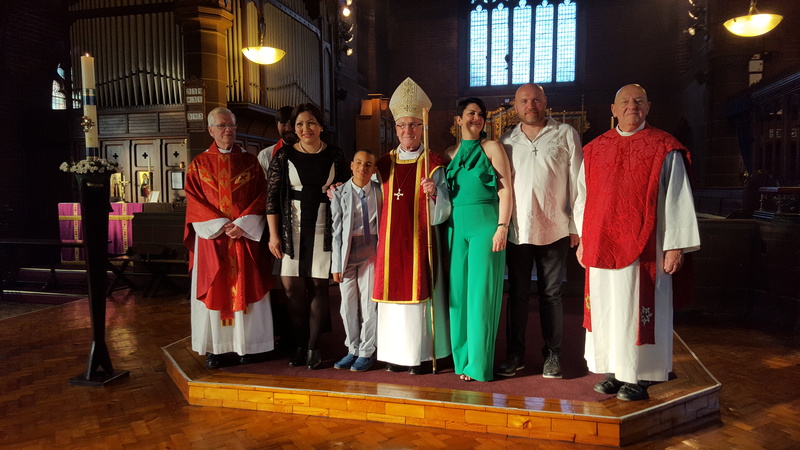 Around sixty members of the congregations from St Hilda’s and St Paul’s Parishes came together to witness and support the four candidates on this most important day in their spiritual lives. 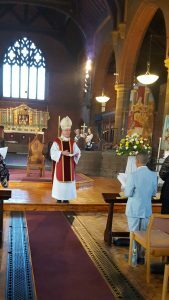 The Bishop, along with Fr Croft (St Hilda’s) and Canon Wyatt (St Paul’s) concelebrated the Mass and Canon Denby acted as Deacon. The ceremony of Confirmation took place during the Mass after the reading of the Gospel. Fr Croft (left) and Canon Wyatt.